Living in Colour: What’s the T? 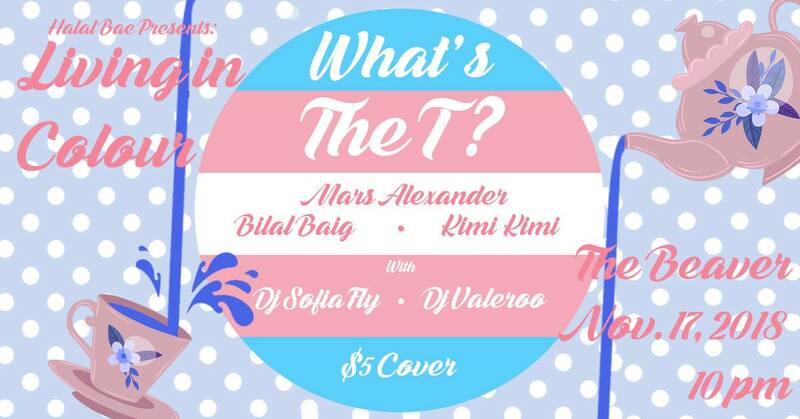 HALAL BAE PRESENTS: LIVING IN COLOUR is proud to present it’s ALL TRANS show: WHAT’S THE T? The month we celebrate the achievements, struggles and passions of our trans family, because you cant spell community with the T! * Living in Colour showcases a variety up and coming QPOC talent. This event aims to increase the visibility of and create a space for queer and trans performers of colour.